I was really tired today. Lack of sleep is catching up to me. Even though I had no papers due, I still was in charge of three boys age 17-18 staying with me in the hotel last night, and even after knowing me for several years it didn’t occur to them that I would notice immediately if they left at 2:30am. *ahem* They are straight on that now, but I’m tired. So anyway, I was sleepy during the shorts, and maybe didn’t enjoy them as much as I should have, but I did rate five of them Good and one Excellent. 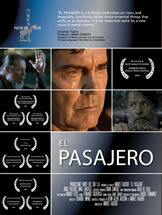 El Pasajero – I liked this one a lot but it was long, and long shorts make me antsy. But it’s kind of a true story! A taxi driver tries to rob his passenger, but the passenger tries to get him to sell his gun to him instead. They end up inside the passenger’s house drinking, talking and even dancing the night (New Year’s) away. It was an emotional ending and was very good. I believe the director/writer said he wrote it after (his father I think) came into almost the same situation. I gave it a Good for being too long, but thinking back now I should have given an Excellent. Tony Zear (also Tony Zoreil) – Cinequesting liked this more than I did but I fully attribute this to it being the final short of the lot and I was ready for A NAP at this point. My crankiness gave it a Good. Sizzlean – this one I gave the Excellent to, I’m not sure why, but there were four very serious little-kid actors who did a fine job, and it ended up being all about how your family is whomever you’re with. They were getting a “Good” until they got my heart strings at the end. But that’s not an easy thing to do. Well played, Sizzlean. The Stone Child I almost gave it an Excellent but I wasn’t entirely sure I understood what was going on, then realized I just really liked the characters of the boy and his father. But if I don’t get the movie, I can’t give it an Excellent. Keep in mind I was sleepy, folks. Crickets I’ve always had this problem with giving art (literature, film or visual) lots of raves and kudos just because it deals with a sensitive subject. Telling the story of sad or emotional things that actually happened (like war) just means that you told a story with emotional content, not that the art you made about it was emotional. There’s a long personal story behind this that I won’t go into here, but I believe in my stand. So I am very stingy with giving good reviews to things like this. Crickets does have war subject matter but it focuses on the war reporter. At first this was heading for a Fair, mostly because of my little war-as-art rule book. I mean, anyone can take a man, film him in an artsy-fartsy dreamlike fashion and have him spout comments about the war — and we’re all going to get all emotional and buy it, because we ARE all emotional about the war. That said, I ended up giving this one a Good, and if not so tired I probably would have given it an Excellent. It was the last two lines that saved it for me. Lady: You’re a writer, make something up. My English Professor-self chose to interpret this in my own way… and I’m not going to write an essay about it here. I’ll just say, that last line was enough to win me over, and I give them a free pass on the war-as-art train. Well done. 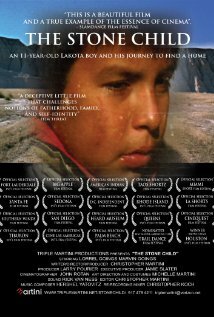 Unfortunately, I can’t find a single link to anything about the film. Sad.